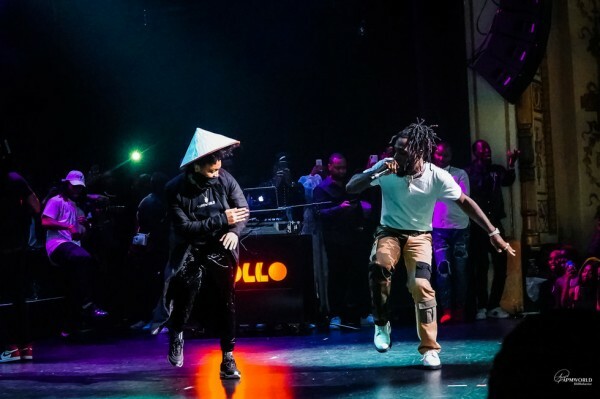 Burna Boy was in full “African Giant” form on Friday night, when he took over Harlem’s historic Apollo Theater for a sold out show, marking his return to NYC ahead of his highly-anticipated, upcoming set at Coachella. While the artist follows in the steps of fellow African acts Salif Keita, Sarkodie, and Black Coffee, who’ve all sold-out shows at the Apollo, he is the first Nigerian artist to have accomplished this feat. The storied venue has also hosted legends the likes of Fela Kuti and Miriam Makeba in the past. The occasion felt special—like a sort of cementing of the cultural influence of Nigerian pop.